Governor Sensor Status Screen – Welcome to the EMIT Technical Forum! 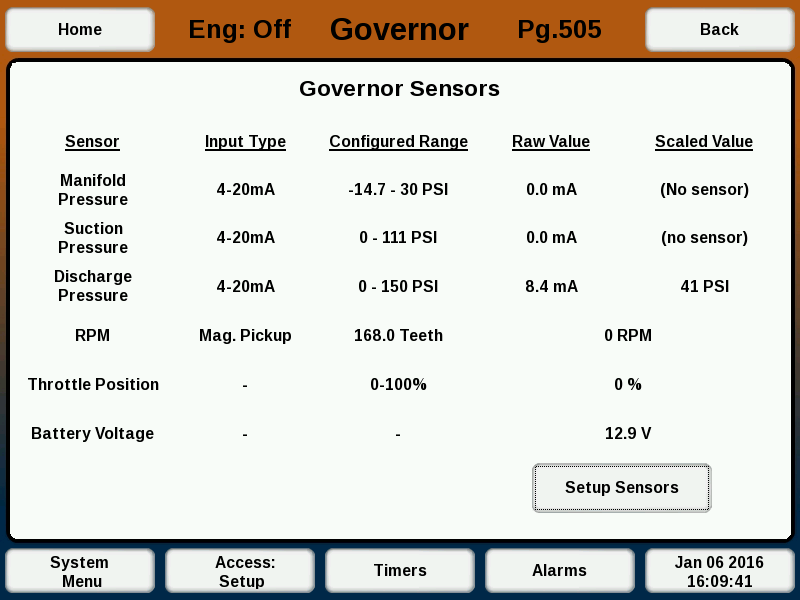 The Governor Sensors screen (Pg. 505) shows the current status of sensors connected to the Governor. The screen shows the RPM, throttle position, and battery voltage. Also shown are the pressure inputs, if attached. The scaling of the pressure sensors can be specified on the Sensor Setup screen, discussed later.